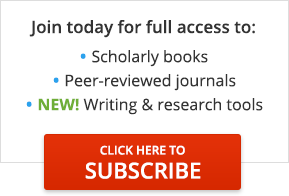 Abstract: Maurice Stans (1908-1998) is remembered for his role in the Watergate scandal of the 1970s, but he was also an early contributor to the literature on the accounting profession's obligations to the general public. His writings and speeches in this area have a place in the history of social responsibility accounting. The paper discusses his writings as .well as his comments collected in an audio-taped interview about his role in the accounting profession as president of the American Institute of Accountants, senior partner in Alexander Grant (now Grant Thornton), and one of the first well-known practitioners to discuss broadly the importance of the accounting profession's social responsibilities. Today when accounting scandals have created questions about the credibility and integrity of financial reporting, it is reflective to see how concerns about financial reporting were once articulated. Maurice Stans (1908-1998) is largely remembered for his political association with Richard Nixon and his role with the Republican National Finance Committee and the Watergate scandal of the 1970s. Yet, before his entry into the politics of the 1950s, he had distinguished himself in the accounting profession as one of the first senior partners in the firm of Alexander Grant & Company, president of the American Institute of Accountants (AIA) (1954-1955), gold medal recipient for distinguished service to the profession (1954), a member of the Committee on Accounting Procedure (CAP), an early member in the Accounting Hall of Fame (1960), and a writer and advocate for articulating the accounting profession's social responsibilities to the public as defined within the accounting framework of the late 1940s through the 1950s. It is valuable to look at his writings and consider his personal views on social responsibility as expressed in an audiotaped interview conducted in 1994. (1) Stans' description of social responsibility was based on a call for fairness in financial reporting through a greater standardization of accounting practices. He perceived that this approach would help reduce potential social class conflicts and labor strife in the U.S. economy arising from an underlying suspicion that the accounting profession endorsed practices supporting corporate interests over accurate reporting responsibilities to the general public. Today the accounting profession has been beset by a number of scandals. Accordingly, it is worthwhile to record the historical insights of an accountant who faced his own integrity challenges and still strongly maintained his views on the accounting profession's obligations to society. This article reviews Stans' writings and the 1994 oral history interview in which Mr. Stans identified the role he played in developing practitioner-based arguments for expanding the accounting profession's public responsibilities. Prior to beginning this analysis, the advantages and pitfalls of an oral history methodology will be briefly considered. The primary resource for this paper was the 1994 oral history interview with Maurice Stans. Such an oral history can be considered a record of "personal reminiscences that are of historical significance focusing on impressions, attitudes, feelings, and descriptions, rather than facts" [Lamour, 1994, p. 2]. As with any research model, there are advantages and pitfalls to be considered when using oral history. Publication information: Article title: Maurice Stans' Views on Social Responsibility in the Accounting Profession. Contributors: Smith, G. Stevenson - Author. Journal title: Accounting Historians Journal. Volume: 34. Issue: 1 Publication date: June 2007. Page number: 147+. © Academy of Accounting Historians. COPYRIGHT 2007 Gale Group.